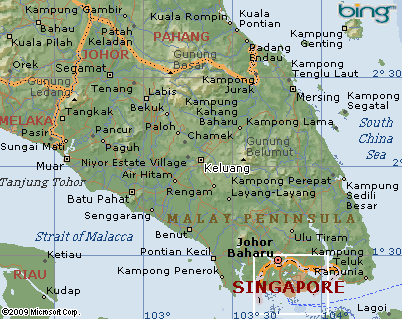 There is an Advent Christian Conference in Malaysia, in Kluang (Keluang). The Kluang Conference was started by Rev. Thambusamy Devairakkam and wife Victoria. From about mid 1986 James, one of Rev T Devairakkam’s sons, began assisting his father in the ministry and following Rev T Devairakkam’s death, Rev James Devadasson, assisted by his wife Mercy, took over leadership of the work. In 2008 James’ sister Ruth Devairakkam and husband Wilfred took over leadership of the church at Kluang. The church is presently struggling, following a major split in 2008 and has only approximately 10 members. Ruth and Wilfred hold home meetings and are doing personal visitation, as well as having regular Sunday meetings. Reaching out to new contacts (Indian, Chinese and Filipino). Bilingual Church services (Tamil / English). Community service for those who seek us for help (paper-work whenever necessary). Sharing Jesus to the broken-hearted among our contacts (broken families, broken marriages and those contemplating suicide). English-speaking Chinese from other Churches have fellowship with us at our service and house meetings.